The 35th Infantry Regiment Association salutes our fallen brother, SFC Alvin Hopkins Jr., who died in the service of his country on July 31st, 1966 in Pleiku Province, Vietnam. The cause of death was listed as Small Arms/AW. 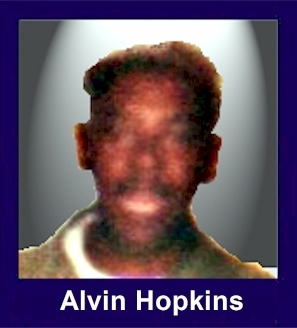 At the time of his death Alvin was 42 years of age. He was from Oklahoma City, Oklahoma. Alvin is honored on the Vietnam Veterans Memorial at Panel 09E, Line 91. The decorations earned by SFC Alvin Hopkins Jr. include: the Combat Infantryman Badge, the Silver Star, the Bronze Star, the Purple Heart, the National Defense Service Medal, the Vietnam Service Medal, the Vietnam Campaign Medal and the Vietnam Cross of Gallantry with Palm Unit Citation. Sergeant Hopkins distinguished himself while serving as a Platoon Sergeant on a search and destroy operation in the Central Highlands, Republic of Vietnam. At mid-morning Sergeant Hopkins unit was attacked by an estimated company of North Vietnamese Army troops. The leading platoon, of whom Sergeant Hopkins was Platoon Sergeant, received the brunt of the enemy's initial assault. In the face of devastating and vicious enemy fire, and with complete disregard for his own life, Sergeant Hopkins continually moved across the platoon front inspiring and encouraging his men. Realizing that one enemy machine gun positioned to his platoon's front was particularly effective and would more than likely preclude maneuver, Sergeant Hopkins and one other man attacked the position. Although he fell mortally wounded halfway through the assault, Sergeant Hopkins rose, gallantly pressed on, and finally destroyed the machine gun nest. The action proved to be the turning point of the battle and the enemy never regained the initiative and soon fled the battle area. Sergeant Hopkins' outstanding leadership, gallantry, and magnificent and inspirational courage are in keeping with the highest traditions of the military service and reflect great credit upon himself, his unit, and the Armed Forces of the United States. WELLSTON- A 42 year old Wellston Army Sergeant and veteran of three overseas wars has become Lincoln Counties first fatality in the Viet Nam war. SFC Alvin Hopkins Jr., a career army man, was listed Tuesday as killed in action. Sgt. Hopkins died "as a result of gunshot wounds while on combat operations when hit by hostile small arms fire," an army telegram said. He had served overseas in both World War II and the Korean War. Sgt. Hopkins wife, Rosa, had been staying with relatives in Texarkana, TX, while he served in Viet Nam. The couple had no children. His mother, Mrs. Gracie Lee Hopkins, lives in Wellston. Two surviving brothers are both serving in the military, Delbert in the army and Marvin in the navy.